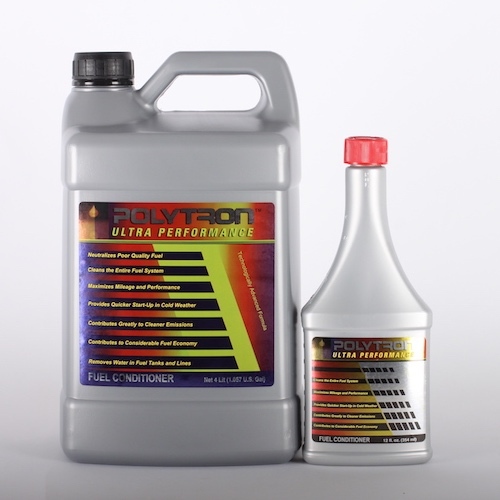 Polytron Diesel Fuel Conditioner is an advanced diesel fuel system treatment, formulated using leading edge technology to provide industry with the ultimate solution for diesel fuel system deposits and poor diesel quality. Diesel Fuel Conditioner is first in a new generation of fuel treatments that integrate a modern, proactive approach to prevention with the conventional reactive approach currently favoured by manufacturers of aftermarket fuel additives and treatments. This makes Polytron Diesel Fuel Conditioner the first true Intelligent Fuel Solution. The Diesel Fuel Conditioner formulation is the result of high quality research and analysis into current refining and pipeline additives used by the petrochemical industry in the production of their wholesale and retail diesel streams. Polytron’s research highlights and reinforces the anecdotal evidence that both standard and premium diesel streams often suffer from poor quality and have a tendency to cause a build up of deposits in both the combustion chamber and injectors over time. The above issues are the direct cause of a wide range of secondary problems including poor fuel economy, black and white smoke, increased particulates and fuel system corrosion. Because Polytron Diesel Fuel Conditioner is an integrated fuel treatment package, the product works proactively to improve diesel quality and prevent deposit formation, whilst also working in a similar way to conventional diesel treatments by helping to alleviate major problems such as corrosion, poor fuel economy and elevated emissions that result from issues with diesel fuel quality and deposits. Polytron Diesel Fuel Conditioner is an integrated treatment package designed to provide significant, immediate and measurable improvements to the functional profile of a broad range of diesel streams. The Diesel Fuel Conditioner has been developed to ensure that the diesel stream will not only meet, but exceed the ASTM D975 – Standard Specification for Diesel Fuel Oils, an essential consideration for any diesel engine operator. To obtain the maximum benefits from Polytron Diesel Fuel Conditioner, an initial “clean-up” treatment of 2 ml/Liter of Diesel should be used for the first 25 hours of operation or 1.500 km. This will ensure any existing zinc or carbonaceous deposits are removed from the fuel system. Fuel should then be treated at the rate of 1 ml/Liter of fuel. Further advice on treatment rates can be obtained by contacting our technical support area. Polytron Gasoline Fuel Conditioner is a complex blend of petro-chemicals designed to oxygenate and improve the burn characteristics of the fuel (leaded and unleaded) regardless of octane rating. It is formulated for use in any petrol or alcohol powered engines (even propane and natural gas). The Gasoline Fuel Conditioner improves the fuel’s lubricity, coating all metal surfaces throughout the fuel system and upper engine with a protective layer, reducing friction and wear. Polytron will coat the entire top-end (injectors, carburetors, spark plugs and valves) and fuel pumps with molecules, preventing the build-up of hydrocarbons and increasing engine life. It will break down gums and varnishes, reducing existing carbon build-up. It will absorb moisture slowing down degradation of the fuel and help prevent freeze-up. Polytron improves the structure of combustion by increasing the temperature and the amount of available oxygen in the fuel. This means that when the fuel burns, oxygen has already been introduced into the chemical makeup of the fuel and becomes a key component. The net result is that the fuel ignites and burns faster, hotter and more completely, so that more of the energy is released. In terms of emissions this means that the carbon monoxide (CO) and hydrocarbon (HC) levels will be dramatically reduced. The process of cleaning the fuel tank and lines can result in clogging of fuel filters. It is advisable to check the fuel filters after the first two tanks of Polytron and replace if necessary. Most modern cars today can, with the use of Polytron run perfectly well on regular unleaded fuel. Polytron Gasoline Fuel Conditioner is non-corrosive. To obtain the maximum benefits from Polytron Gasoline Fuel Conditioner, an initial “clean-up” treatment of 2 ml/Liter of Gasoline should be used for the first 25 hours of operation or 1.500 km. This will ensure any existing zinc or carbonaceous deposits are removed from the fuel system.